At present all accounts for intermediaries, brokers and individuals are created by someone with higher authorities. In order to have an account created for you, you will need to have someone with the relevant authority create that account for you. If you are representing an intermediary and wish to have an account created for you, please visit the "Forms" page and download the 3 forms under the Downloads - Intermediaries heading. These will provide you with the relevant documentation to support a request for account creation. Once you have these forms filled out you can return them to the administrator or your regional manager, should you happen to know that is. 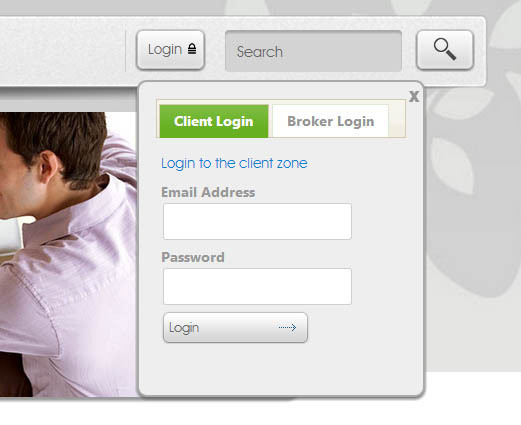 If you are a broker working for an intermediary, your intermediary account holder will be able to create a new account for you using their own control panel. If you are a client who wishes to sign up for a Unilife insurance product, you will need to contact a broker to obtain a quotation and get the relevant documentation. Once you have approved a quotation, an account will be created for you that will give you access to manage your insurance product. Once an account has been created for you, you will recieve an email with your login and password. You will use these details to login using the relevant login area, either on the drop down box or by visiting the relevant link. Having problems logging in? Find out how to reset your password and recovery it here.